Cooper tires have been around for more than 100 years, so they have stood the test of time and continued to stay up-to-date with the needs of America’s commuters, road-trip takers, and adventurers. They recognize that tires aren’t just something to make your vehicle move; they should also connect you to the life you want. Cooper makes performance, passenger, light truck, sports utility, commercial, and winter tires. 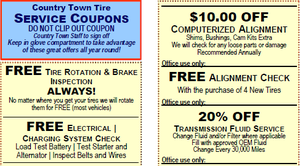 You can get Cooper tires here at Country Town Tire & Auto Service Center in Hickory, North Carolina. One of the newest tires in the lineup is the Discoverer STT PRO tire. These tires utilize outstanding technology to provide amazing off-road performance. It is the most extreme tire Cooper has ever created. If you are thinking it won’t have great on-the-road performance, think again. A smooth ride was not sacrificed in the least when adding side-biters into this mud terrain advanced tire. If you’d like to know if this tire will fit your vehicle, don’t hesitate to contact us. We also carry the other Cooper tires, so we can provide you with top-quality tires, regardless of the make, model, and year of your vehicle. 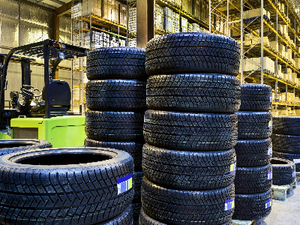 In addition to offering quality Cooper Tires, we also carry many other top brands and offer all the tire services you may need in order to get the best results from the tires you choose. We also take care of other automotive services, so you can get the most from your vehicle, wherever the road tends to take you and your family.